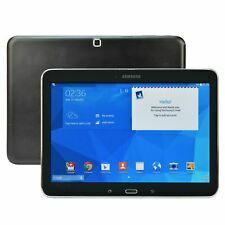 Samsung Galaxy Tab A 10.1". Brand New Includes One Year Warranty. . The Samsung Galaxy Tab A 10.1 with S-Pen has a vibrant 10.1" high-resolution screen that makes everything come to life, whether you're watching movies or catching up on the latest news. The new Tab A 10.1" is your perfect entertainment companion. Stay powered up for up to 13 hours of Internet usage with a long-lasting battery, optimized by a powerful Octa-core processor. And because you have the latest Android operating system, all your favorite games, apps and more are right there waiting for you. . . Sharing the big screen with families is much more enjoyable via the 178-degree view angle. With 10 point multi-touch technology, it's more accurate and responsive. --Multi Function: Improved Wi-Fi module enables you experience faster loading speed for browsing the web, streaming music, making video calls and more. Trending at $150.35eBay determines this price through a machine learned model of the product's sale prices within the last 90 days. 16GB Storage, extendable up to 32Gb Micro SD/TF support. Android 5.1 Lollipop. 1 x Mini HDMI. Allwinner A83TOcta Core, 8x2.0 GHz (up to). 10 Point Capacitive Multi-Touch Screen. 1 x Refurbished Tablet. 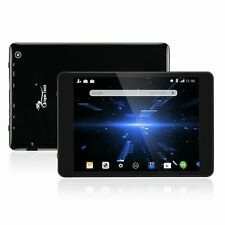 Brand XGODY Model XGODY TB02 MPN 10-TB02-3G-6.0-32GBTF-11-US UPC Does not apply Type Tablet Screen Size 10.1in. Resolution 1280 x 800 Operating System Android 6.0.X Marshmallow Processor Quad Core Storage Capacity 16GB RAM 1GB Band 3G:(WCDMA 2100MHz); 2G:(GSM 850/900/1800/1900MHz) Color Gold Internet Connectivity Wi-Fi 3G Hardware Connectivity Bluetooth Features 2.5D ARC Screen Bundled Items 16GB TF Card BrandXGODY ModelTB02 (100% NEW) Displaying Screen10.1 inch 2.5D Arc Screen 5-Point IPS HD Capacitive Touch Screen Resolution1280x800(Use different Software test may a little different, if any question, please message us first) CPUMT6737 Quad Core CPU Frequency598.0-1500MHz GPUMali-700MP, Support 3D Games Memory Size-RAM1GB DDR3 M.
YELLYOUTH Android Tablet with Dual sim card slots. Hard Drive Capacity: 64GB. 3G Yes,Built-in 3G Module,Support WCDMA GSM. SIM Card Slot: Dual Sim Card Slots. Call Phone Yes,Double Card Double Stay ,Support Dual SIM Card Call Phone. Android 5.1 Lollipop. 7" Tablet PC 8" Tablet PC 9" Tablet PC 9.7" Tablet PC 10.1" Tablet PC. 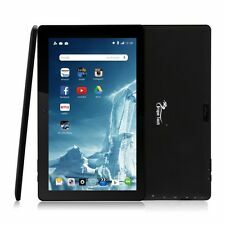 10.1" Tablet Quad Core Android 4.4 KitKat Bluetooth16GB Keyboard 10" Refurbish. 16GB Storage, extendable up to 32Gb Micro SD/TF support. Octa Core Tablet Unbeatable Performance. With 32 bits capable octa core processor, you can multi-task simultaneously whenever you like. 7" Quad Core Kids Tablet Android 5.1 Dual Cam WiFi W/ Disney App Refurbished. Specification: - Google Android 7.0 Nougat system. 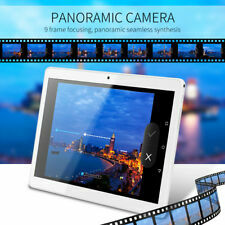 - 16GB storage(Supports MicroSD card extension), 1GB RAM. Are you a radio lover?. The V10 tablet is also equipped with FM radio. - 4x1.3GHz Quad Core CPU. RAM DDR3 4GB ROM 64GB. 2 x Mini SIM Card Slot. 1 x TF Card Slot. 1 x DC Jack. 1 x Earphone Jack. 1 x User Manual. 1 x Usb cable. 1 x OTG cable. WIFI/BT/GPRS/3G. Support Multi-language. TP process Black, Silver. Front 0.2MP Back 2.0MP. Display Screen Model Number. JD the jrwelry dog says,"This is a 10.1'' Google Tablet PC Android 6.0 Quad Core 1 8GB 10 Inch HD WIFI 3G Tablet. Condition is New. Unopened. Shipped with USPS Priority Mail. Specification: - Google Android 7.0 Nougat system. 7" Quad Core Kids Tablet Android 5.1 Dual Cam WiFi W/ Disney App Refurbished. - 16GB storage(Supports MicroSD card extension), 1GB RAM. - Dragon Touch V10 Tablet / AC Adapter / USB Cable / User Manual. Color: Slate Black, Black. Contained Battery Type: Lithium Ion. What's in the Box: Tablet and AC adapter, USB cable. Accessories Included: AC Adapter, USB Cable. Processor Type: Qualcomm Snapdragon 210 Quad-Core Processor. Adobe Flash 3G SIM Card network WCDMA2100MHz. Google Play 2G SIM Card network 850/900/1800/1900MHz. RAM: 2GB ( Available :1.45GB ). Internal: 16GB ( Available :12GB ). SIM Card Port 2 slot. Mic and Speaker. Condition: New Openbox. APN Settings: The Device is Unlocked and may ask you for APN Settings for optimum performance for 4G LTE and MMS. The Device will work with Sprint has a clean ESN, No Contract Needed. CPU Processor: MTK6592, Octa Core ,2.0Ghz. Hard Drive Capacity: 64GB. Call Phone: Yes,Double Card Double Standby ,Support Dual SIM Card Call Phone. RAM: DDRIII 4GB. 1 x Stylus Pen. SIM Card Slot: Dual Sim Card Slots.